Stress is not a new experience for anybody, we have all experienced it but for some it is a daily affair. The severity of the stress can largely depend upon the circumstance and how the sufferer handles it. 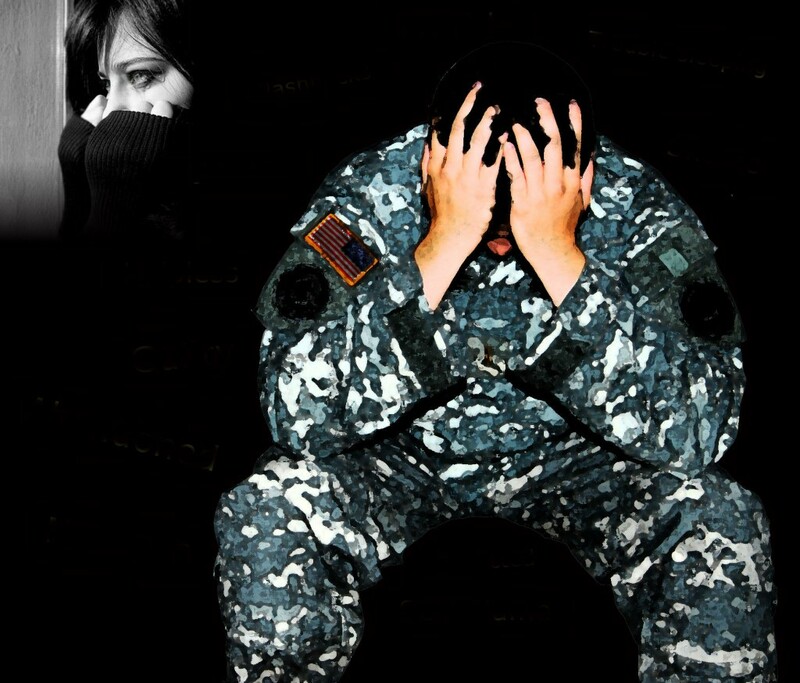 In certain traumatic circumstances, a person can become overwhelmed by the feelings of stress, and this overload can lead to a lack of ability to cope. It is at this point that real problems can develop in their lives that they find it tricky to control. In the event the affect on day to day living becomes significant, this might lead to a diagnosis of PTSD. PTSD can be brought on by events such as being mugged or attacked, experiencing a natural disaster or seeing a terrible incident. The recollections of these distressing events trigger reactions that the person had during the actual event. This is particularly problematic for members of the armed forces as the response may be violent in nature. Terrifying and shocking memories can bring about various long lasting symptoms which consequently have an unfavourable impact on day to day life. Certain conditions can trigger the recollection of the trauma, typically known as ‘flashbacks’, trapped emotions on events and memories from the past. The subconscious mind doesn’t know the difference between what’s real and what’s imagined, so when a person goes back to those events in their mind, the subconscious mind thinks they are back there in that situation because of the trapped emotions, feeling all those feelings of fear, anxiety and panic of the original event, so they are literally still living in the past. Within the home or office, problems can develop when a person with Post Traumatic Stress Disorder has problems sleeping and focusing. Lack of sleep and the frequent triggering of fear and anxiety feelings can ultimately cause depression or violent outbursts. There are also physical issues to consider, such as chest pains, sweating and headaches. The standard medical treatment given is in the form of anti-depressants or anxiety medication. However, Hypnotherapy, Time Line Therapy™, NLP and PSTEC™ approaches are an alternative choice to treat PTSD and are extremely effective in keeping them calm and removing the feelings of anguish. Treatment will be given in an appropriately peaceful environment which boosts the experience. These Specialist techniques for PTSD can remove feelings of anxiousness and panic and alter the subconscious so that the negative harmful thought processes and images are redirected towards positive ones. People can be surprised how powerful and quick these techniques are at removing the fear and anxiety levels so the PTSD sufferer can cope better in day to day life. These techniques to help change their feelings and responses to the original event. In most instances, the first session is a chance for the hypnotherapist to understand how the individual is being affected, and the kinds of circumstances which will probably trigger ‘flashbacks’ and what emotions are present in those events. The therapist will then work out how they can deal with the problems, the techniques they could implement and agree the plan with the person. Generally, hypnotherapy specialist techniques will probably focus on removing the anxiety attacks feelings linked to the original event and thus changing the unacceptable responses they are encountering. The focus is almost always to alter the brain’s thought processes so that the ensuing behaviour is better suited to their lifestyle. Specialist techniques, such as Time Line Therapy™, NLP, PSTEC™ and Hypnotherapy are a brief, outcome focused treatments that aims to help the person return to a more natural life that they would have expected had they not lived through the traumatic event, being able to think and talk about the event without any physical or emotional reaction. So should you be troubled by ‘flashbacks’ of a trauma, whether you have been formally diagnosed with PTSD or not, then seeing a hypnotherapist using these tecniques could be the start of your journey back to a normal, relaxed life. Interested in making a booking or more information? New Research Says Emotional Stress And Trauma can cause Physical Pain. Top tips on how hypnotherapy can change your life!